Your Swash Is Unbuckled is published by Baker's Plays. Your Swash Is Unbuckled, book 2 is published by Baker's Plays. "One of the best comedies I've ever read." These short plays about piracy, brigandry, and heartrobbery combine tongue-in-cheek wordplay with swashbuckling swordplay in stories revolving around buccaneers, damsels, gladiators, amazons and rapscallions of all shapes and sizes. 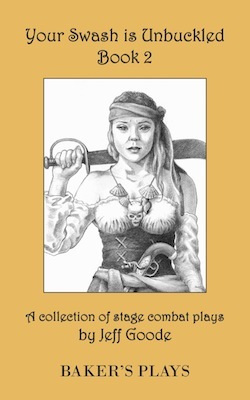 This unique collection of playlets can be used to create a full night of entertainment, or in the classroom for teaching stage combat techniques. 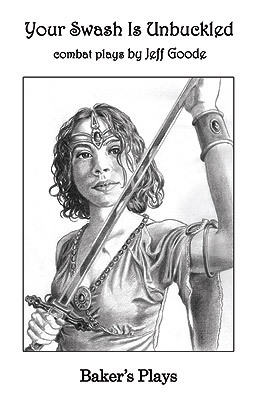 Of special note: these combat scenes contain roles for both male and female combatants.